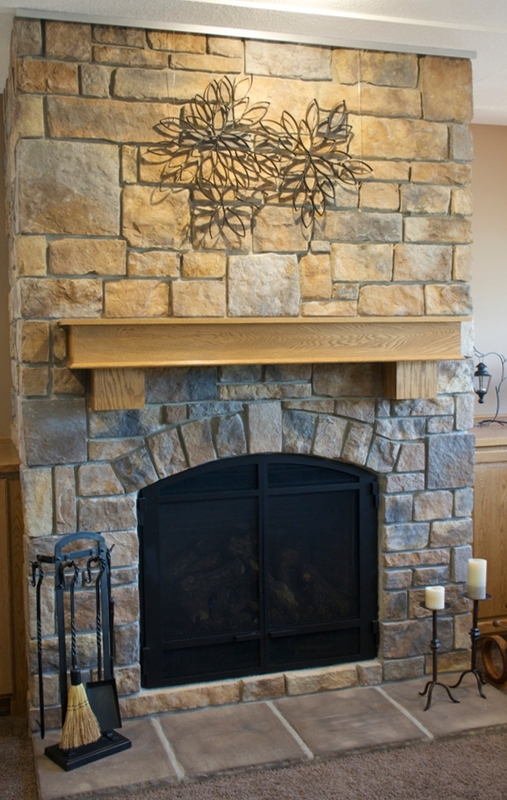 Recently we had a homeowner inquire with us as to how to hang an art display on a stone fireplace. 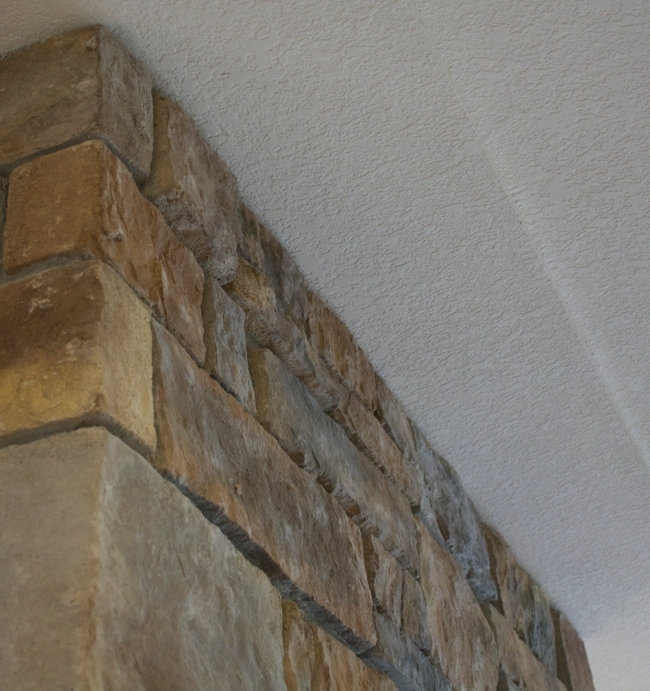 This person has a beautiful stone fireplace in his home that he didn't want to mar by putting holes into either the stone or the grout work. 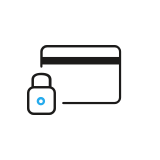 We love it when these questions are brought to our attention so we can share our solutions. We'll begin by showing you the before and after images, then we'll share with you the simple step-by-step progression of the project - including its perceived hurdles, bringing us full circle to a beautiful stone fireplace displaying a lovely piece of art while maintaining the full integrity and beauty of the fireplace. 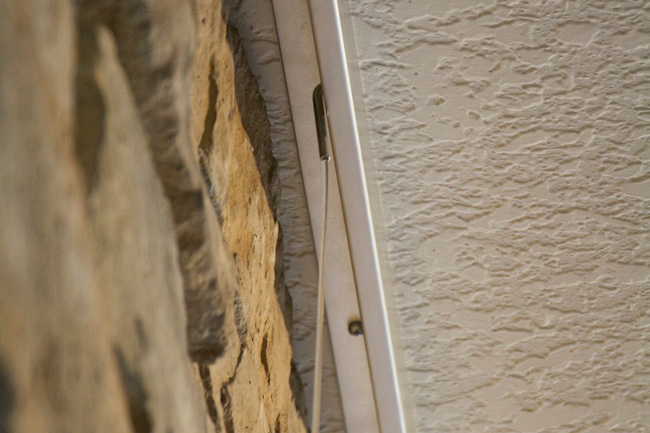 This before image shows the stonework extends right to the ceiling, with no architectural wood or detail which could act as a location from which to hang art. 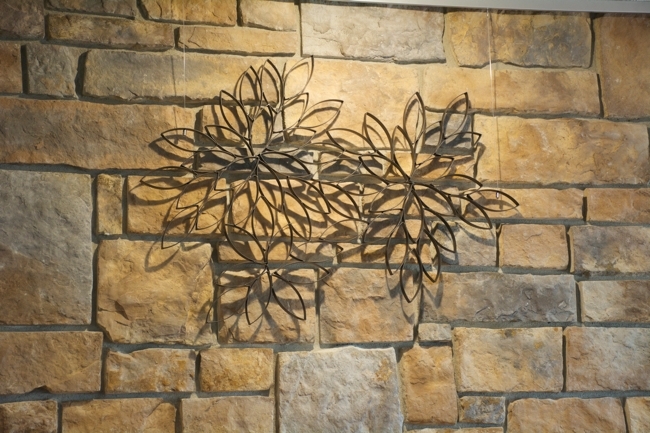 In this after image, you'll notice the dimensional metal art suspended in front of the stone fireplace. Barely noticeable is the art hanging system track positioned at the ceiling just at the fireplace's edge. In fact, the track was surprisingly delicate and discreet in blending into the room. 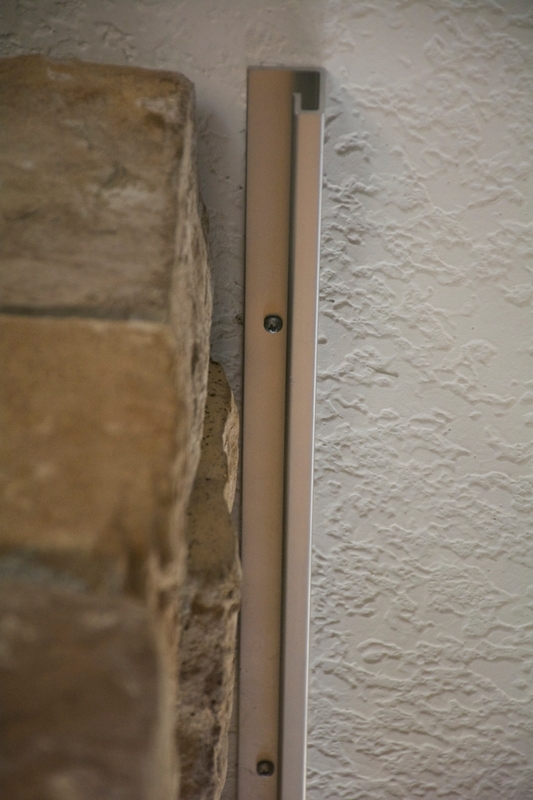 The track almost appears as an architectural trim that dresses and finished the top edge of the stonework. Perhaps this is because it mirrors the edge of the ceiling racetrack detail. 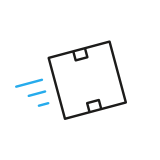 Now let's backtrack and take you through the reasoning behind the product selections and implementation decisions for this particular project. When you look along the top row of stones in the image below, you'll notice the "natural" cuts of the stones and their irregularity. Notice also, the second stone from the left sits proud, or extends forward as compared to the average line of the rest of the stones in the top row. Should someone try to mount track on this stone surface, two problems would occur. One, the stones would need to be drilled, which would potentially weaken them and these holes would be permanent*. Two, cable hanging system track is generally quite rigid and would not readily conform to the line of stone work. If it were manipulated to do so, the track would not read nor function well. 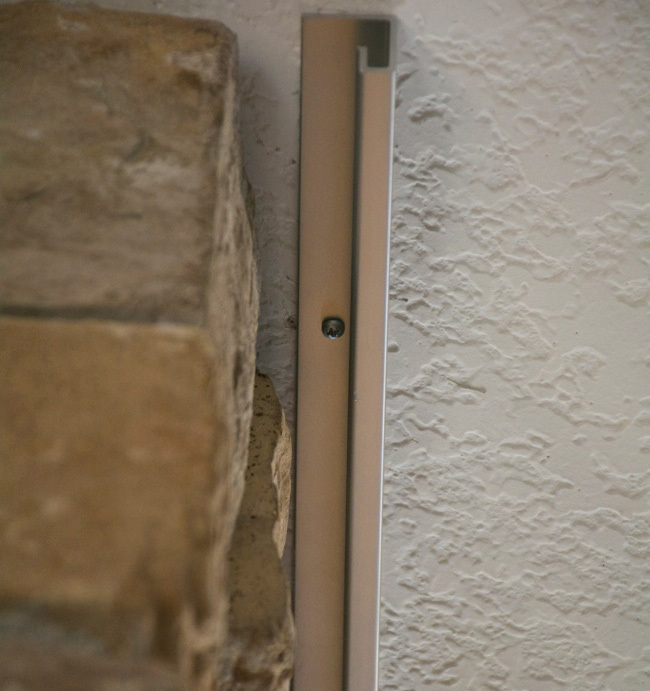 The solution is to use a hanging system track that can be mounted to the ceiling. This avoids any damage to the stonework while allowing for a straight run of track. 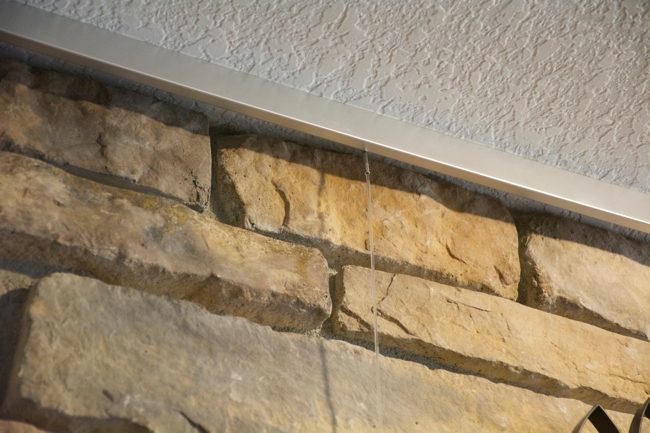 Ceiling Track is mounted to the ceiling and just in front of the stones. 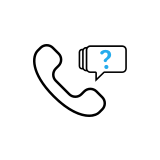 Though there are varying amounts of distance between the stones and the track, as you can see in the image below, the track reads as though it abuts the stones. The above image also shows that the Ceiling Track is mounted in the closed-face orientation. This places the flat face of the track towards the room and hides the mounting hardware. This decision allows for a more discreet installation. The photo also shows how significantly proud is the placement of the second stone. Another advantage to a closed-face orientation is that the fitting at the top of the cables is mostly hidden from view. Here, P-End Nylon Cord is used. 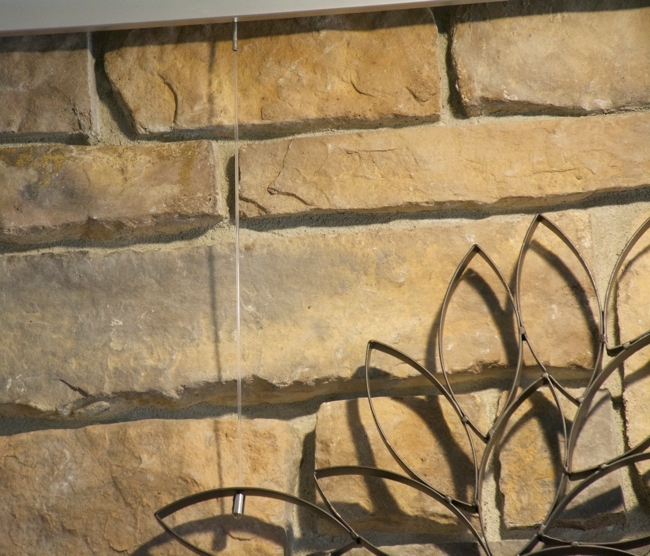 While this cable-end fitting is also available for galvanized or stainless steel cable, the nylon cord virtually disappears from sight and allows the art piece to appear as if it is floating just in front of the fireplace. 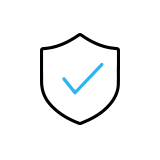 Nylon Cord is appropriate for applications with a weight limit of 15 pounds per cord. 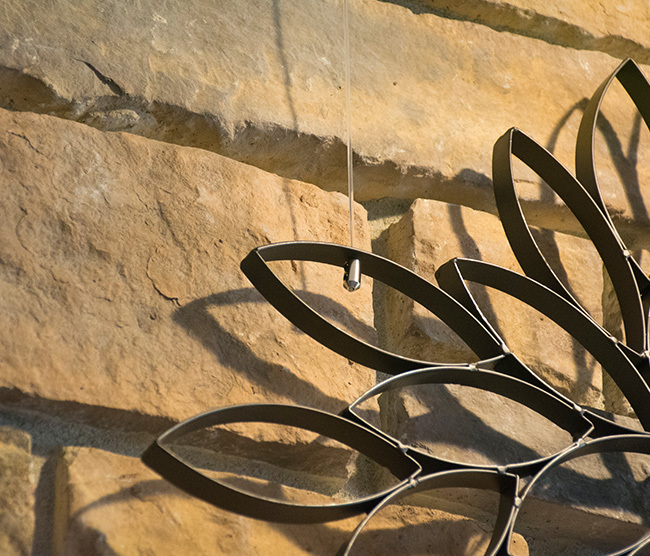 To affix the art piece to the art hanging cable, small holes were drilled through two of the leaves, one on each side of the piece. The nylon cord was then passed through each hole. Then a Cable Stop was attached to the nylon cord. Here, the Cable Stop has been left original with a bright nickel finish, but these may be painted to match the stonework. 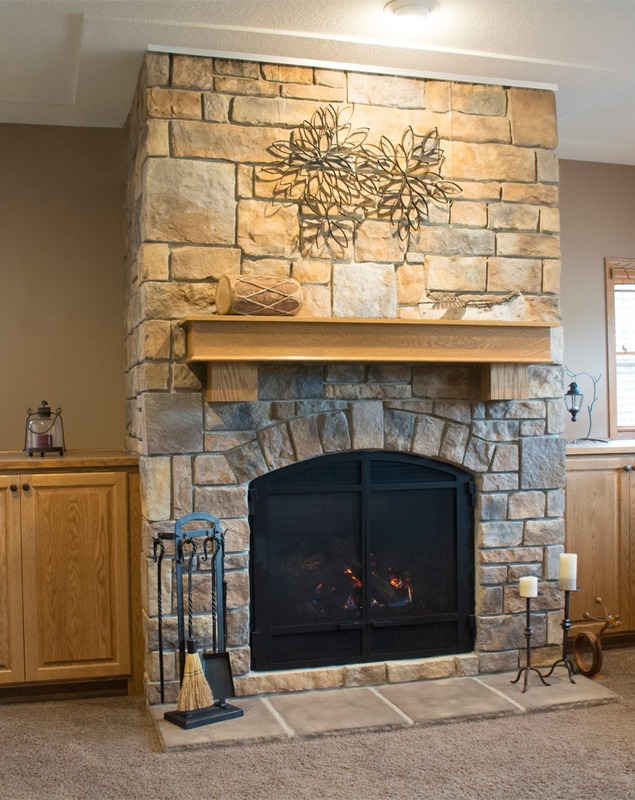 By creating a hanging display system using Ceiling Track, the beauty and integrity of the stone fireplace has been preserved while enabling flexible design. In the future, this particular art piece may be removed and replaced in just a few moments. Art pieces can be easily changed as desired, perhaps even with seasonal or holiday decorations. However, we love how this piece, with its open design allow light to pass through it. Because of the way it was hung, it floats just off the surface of the stones and this enhances the beauty even further with the shadows that play against the stonework - precisely due to the fact that nothing is affixed directly to the wall. As I mentioned early in this article, this method is applicable for brick walls as well. 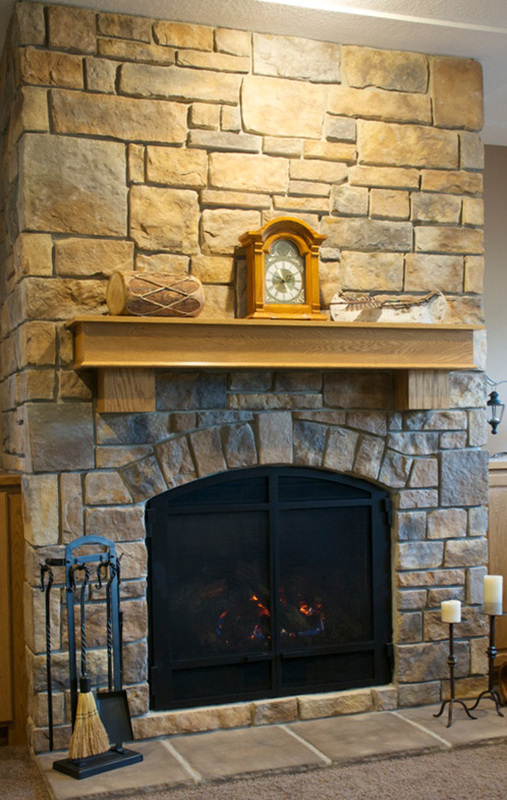 Do you have a stone or brick fireplace, wall, or architectural feature that deserves to keep its integrity while displaying art or objects?